Sony To Turn PS Vita In An eBook? According to the report, there will be an emphasis on children’s content, meaning Sony sees this as perhaps an interactive storybook platform for your children. Unfortunately for Sony, it doesn’t exactly have a great track record in this space. 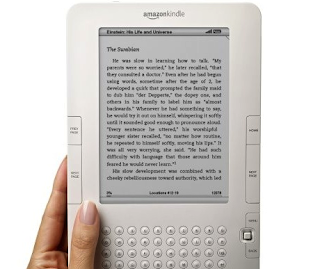 Even though its Reader ebook device beat the Kindle to the market, it failed to captivate consumers. And specifically within the Playstation business, Sony launched a digital comic service for the PSP, allowing users to download comic books and read them in between gaming sessions. That service was subsequently shut down due to lack of interest. Will you ever read a book on your PS Vita instead of playing Uncharted? Let us know in the comments below!